On December 10, 2013, the CIAN team at Tuskegee University (TU) hosted a day-long academic workshop, focusing on basic principles of electrical engineering. There were a total of 45 participants (junior and senior high school students) divided into three groups. For each group of 15 students, a 1 hr 45 min session was conducted consisting of a 20 min tour of the Microelectronics Lab facilities and cleanroom and an introduction to CIAN. Subsequently, the CIAN team at TU led the participants to complete several challenging hands-on activities on electronic learning boards. The high school students learned to read basic schematics, understand electronic components, and engaged in troubleshooting the devices that they built on the boards. Many participants indicated that the activities increased their interests in STEM fields. One student from the Booker T. Washington High School, Mr. Robert Johnson, said, “This is fun because it’s hands-on.” Last, the CIAN students took time to speak to the students about their personal experiences as STEM majors. Most of the 45 student participants were from schools in different counties in Alabama, and a few were from Arkansas and Oklahoma. 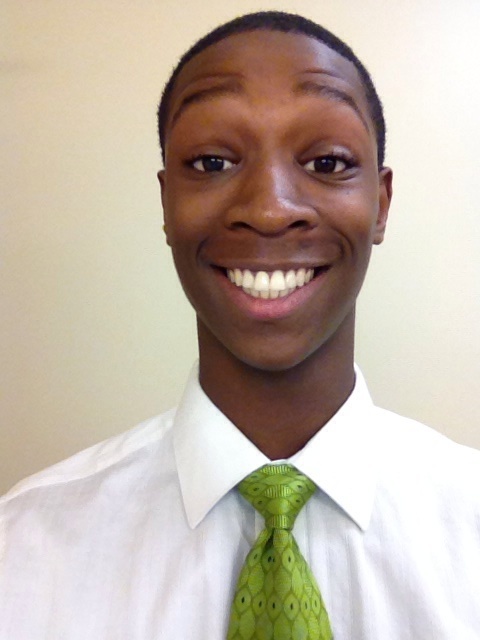 Jean-Pierre Papouloute is pursuing his Bachelors in Electrical Engineering at Tuskegee University. He is working with Dr. Naga Korivi on the development of a fully integrated germanium (Ge)/silicon (Si) hetero-junction field effect transistor (HJFET) photo-detector device. He is involved in the NSBE and IEEE student chapters at Tuskegee University, and enjoys debates, long-boarding and cycling. This entry was posted in Education, Outreach and tagged CIAN Students, optics, outreach, school visit, STEM, Tuskegee. Bookmark the permalink.